This short workshop aimed to provide delegates with an opportunity to talk about the 'bioinformatics problems' they encounter, whether in choosing the right databases, statistical analysis packages, and so on, and to suggest approaches to training that might help to improve their confidence (e.g., via focused workshops, online learning, formal university courses, etc.). 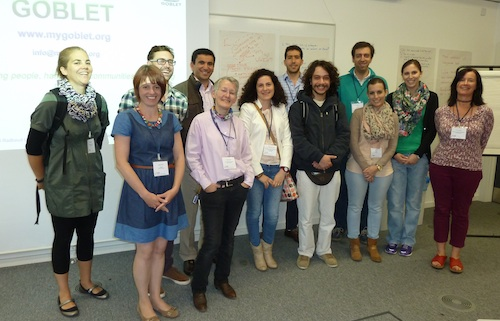 The workshop also aimed to raise awareness of GOBLET and its training portal, via which biologists may identify distance-learning resources, workshops, courses, summer schools and other training events around the globe to suit their needs. Ultimately, the goal was to build on the results both of the survey conducted early in 2013 with SEB members and with the recently completed wider survey of GOBLET communities, which sought to understand the type and level of bioinformatics training that biologists need to facilitate their work. What can GOBLET do for you? A draft of the workshop report is now available.